TA straight truck in a 4 x 2 configuration with a gross vehicle weight rating up to 19,500 lbs, the Kenworth T170 is a robust Class 5 model designed to go the distance. The T270 is a true Class 6 vehicle, rated at 26,000 lbs GVW. 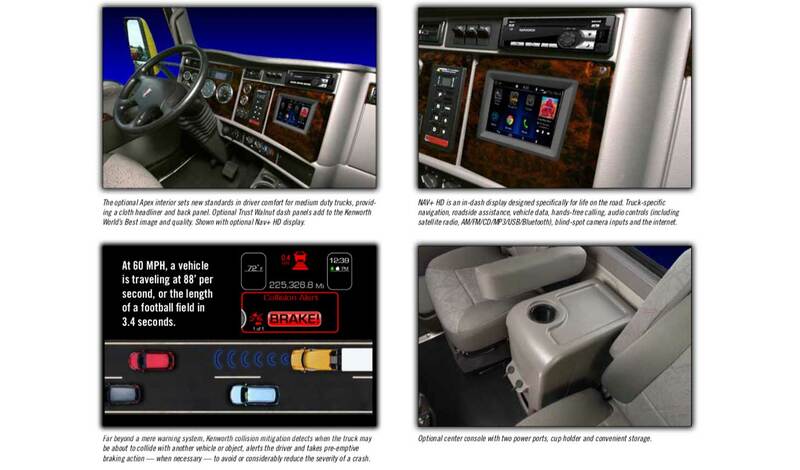 Available as a straight truck, it can be configured for non-CDL operation to broaden your pool of drivers. The Class 7 T370, as a straight truck or tractor, offers a GVW range from 26,001 to 66,000 lbs. 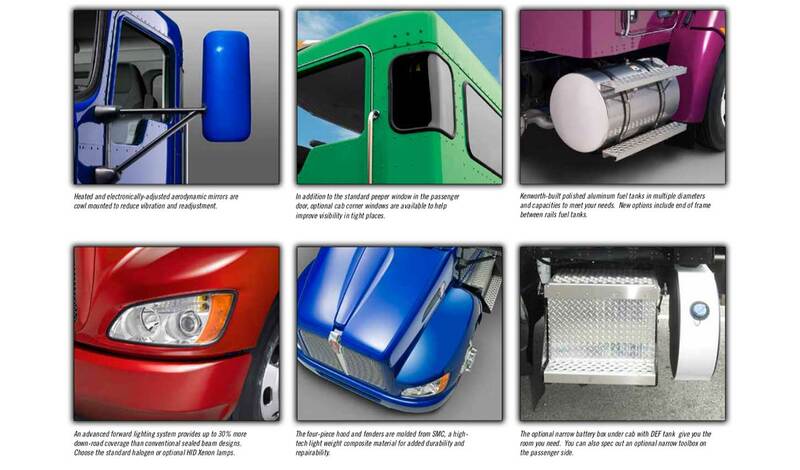 Your medium-duty Kenworth is available with job-specific and appearance options. Here are just a few of them.